Imperas Software Ltd., the leader in high-performance software simulation and virtual platforms, today announced their presentation at Embedded Technologies Expo & Conference (ETC) in San Jose, CA. Imperas is exhibiting and co-sponsor of the RISC-V Workshop Zurich, and invites developers of embedded software and SoC’s to visit us there! Please email info@imperas.com to set up a meeting or register for a demonstration of Imperas virtual platforms for embedded software and systems development, debug and test. DEMO HIGHLIGHTS: See Imperas virtual platforms and Open Virtual Platforms (OVP) models for embedded software development, debug, analysis, and verification, featuring RISC-V example implementations. Imperas will participate in the Design Automation Conference (DAC) 2019, and invites developers of embedded software and SoC’s to visit us there! Please email info@imperas.com to set up a meeting or register for a demonstration of Imperas virtual platforms for embedded software and systems development, debug and test, at DAC! DAC 2019 EXHIBIT: Imperas at booth #1030. DEMO HIGHLIGHTS: See Imperas virtual platforms and Open Virtual Platforms (OVP) models for embedded software development, debug, analysis, and verification, featuring Arm, MIPS, RISC-V plus others. Imperas Software Ltd., the leader in high-performance software simulation and virtual platforms, today announced their participation at the CDNLive Cadence User Conference in Munich, Germany. CDNLive EMEA brings together Cadence® technology users, developers, and industry experts for networking, sharing best practices on critical design and verification issues, and discovering new techniques for designing advanced silicon, SoCs, and systems that transform the way people live, work, and play. Imperas will present a technical paper on Fast Processor Models for Software Bring Up and Hardware-Software Co-Verification. The full agenda is available here. 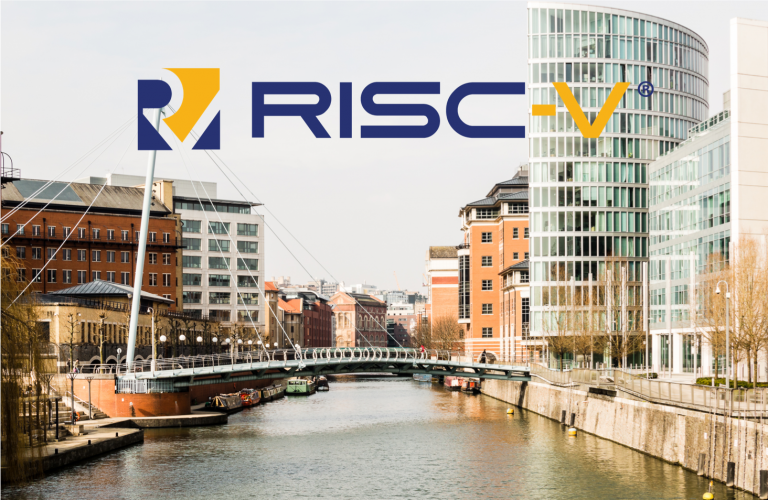 Announcing the next Bristol RISC-V Meetup, April 30 2019, and we hope to see you there! Following a networking session, the agenda which will be announced shortly, will include guest speakers, and will end with networking session. WHEN: Tuesday‎, ‎April‎ ‎30‎, ‎2019, 6:00 pm-8:30 pm. Please visit the Bristol RISC-V Meetup Group page to register for this event. This event is co-hosted by Imperas and UltraSoC. Imperas’ distributor, eSOL TRINITY, will be exhibiting at the Spring IoT/M2M Expo in April 2019, in Tokyo, and will be available to discuss Imperas virtual platform solutions at the show. The IoT/M2M Expo and exhibition focuses on information, products and services across a variety of IoT (Internet of Things) / M2M applications. Many information systems managers, management executives, sales managers, SaaS providers, system integrators and technology managers annually visit IoT/M2M Expo Spring to conduct face-to-face business with participants. Where: Tokyo International Exhibition Center (Tokyo Big Sight), Tokyo, Japan. When: April 10 - 12, 2019. Imperas Software Ltd., the leader in high-performance software simulation and virtual platforms, today announced their participation with the RISC-V North America Roadshow Tour 2019. The RISC-V Foundation will be hosting a series of free, Getting Started with RISC-V events in North America. The half-day North America (April 1-4) event will feature engaging presentations, demos and networking opportunities and includes events in Boston, Austin, Irvine, and Silicon Valley. Imperas will present a technical paper on Custom Instructions and Architecture Optimization for RISC-V, and live demonstrations of the Imperas simulator, processor models, and tools used for compliance, verification and early software development. The full agenda is available here. Attendance is free and includes lunch and plenty of time to meet and network with the speakers. Imperas Software Ltd., the leader in high-performance software simulation and virtual platforms, today announced their participation at the inaugural Verification 3.0 Innovation Summit in Silicon Valley 2019. Driven by a who’s who of verification technology leaders, the Verification 3.0 Innovation Summit has been established to focus on verification innovation. This exclusive, half-day seminar will provide advanced technical content focused around a range of topics on semiconductor verification, as well as a keynote and a reception. Imperas will present a technical paper on Compliance, Verification and Customization of Open ISA Cores and SoCs, and live demonstrations of the Imperas simulator, processor models, and tools used for compliance, verification and early software development. Imperas Software Ltd., the leader in high-performance software simulation and virtual platforms, today announced their participation at the SiFive Technical Symposium in Silicon Valley. The RISC-V ISA has spawned a worldwide revolution in the semiconductor ecosystem by democratizing access to custom silicon with robust design platforms and custom accelerators. Imperas will present a technical paper on Getting the Best From RISC-V with Application Targeted Custom Instructions, and live demonstrations of the Imperas RISC-V Processor Developer suite. Imperas Virtual Platform and Software Development Solutions at the Embedded World Exhibition & Conference – February 26-28, 2019. Imperas Software will demonstrate solutions for RISC-V compliance and extensions with custom instructions at the Embedded World Exhibition & Conference 2019, in conjunctions with tools to accelerate embedded software development and test. Imperas are co-sponsors of the RISC-V Foundation booth located in Hall 3A location 3A-536. Embedded software and systems are getting more complex, while at the same time schedules are getting shorter and test requirements larger. Imperas’ virtual platform based products have demonstrated both technical and business success in Japan, and we are excited to help accelerate that growth. In particular, M*SDK, with its advance tools for embedded software verification, analysis and debug, including CPU- and OS-aware capabilities, brings significant value to developers in Japan. OVP Fast Processor Models are an essential foundation to system level design, helping to unleash innovation in this area. By providing free models and associated virtual prototyping infrastructure, OVP enables the ecosystem to focus on advanced technologies and solutions.